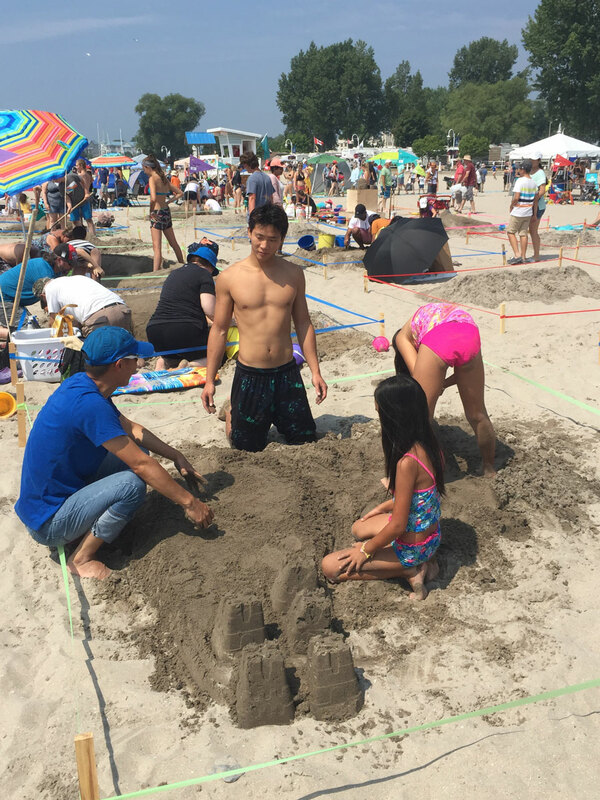 COBOURG — The beach was the place to be in Cobourg on Saturday, as residents and visitors cooled off in the water between taking in the sights at this year’s Sandcastle Festival. 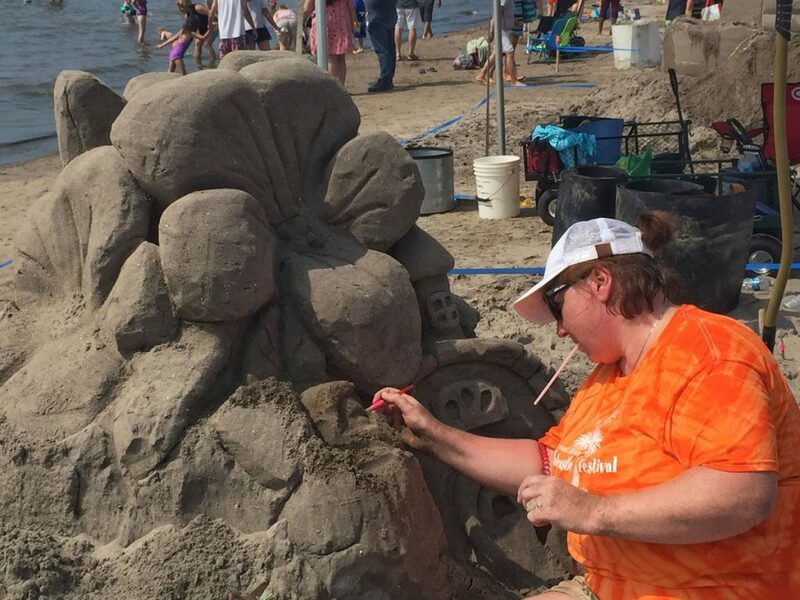 The Aug. 4 event marked its 13th year at Victoria Beach with 12 hours of fun for all ages. There were lots of activities including an amateur sandcastle competition, sand sculpting lessons, inflatable fun park for kids, the Sherlock Gnomes movie on the beach, live music by Mark Sepic and fireworks over the pier. The 2018 Harry Farfan People’s Choice Award went to Fortnite from the youth category. 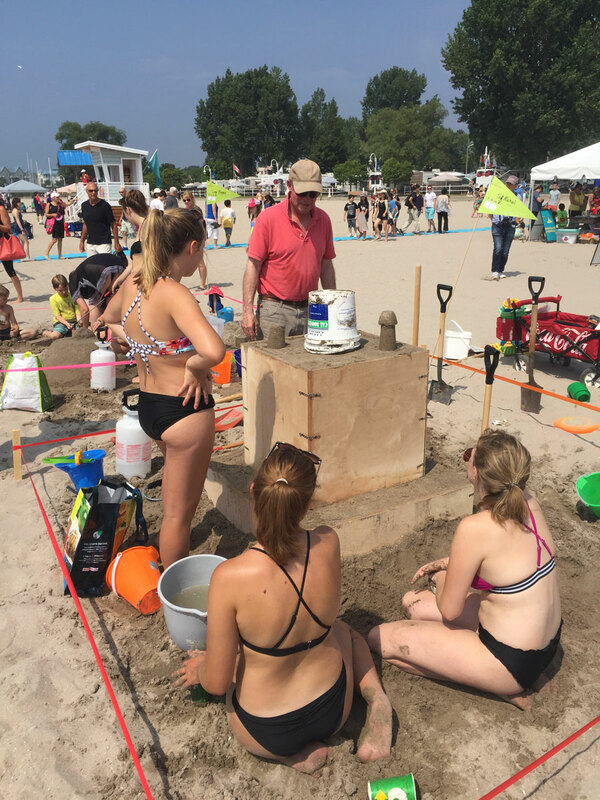 Saturday, August 4, 2018 8:30 a.m. – 5:00 p.m.
Meet the “Masters of the Beach” at Cobourg’s International Pinnacle award winning Sandcastle Festival. The festival is celegrating its 13th year on Saturday, August 4th featuring master sculptors from all over North America. 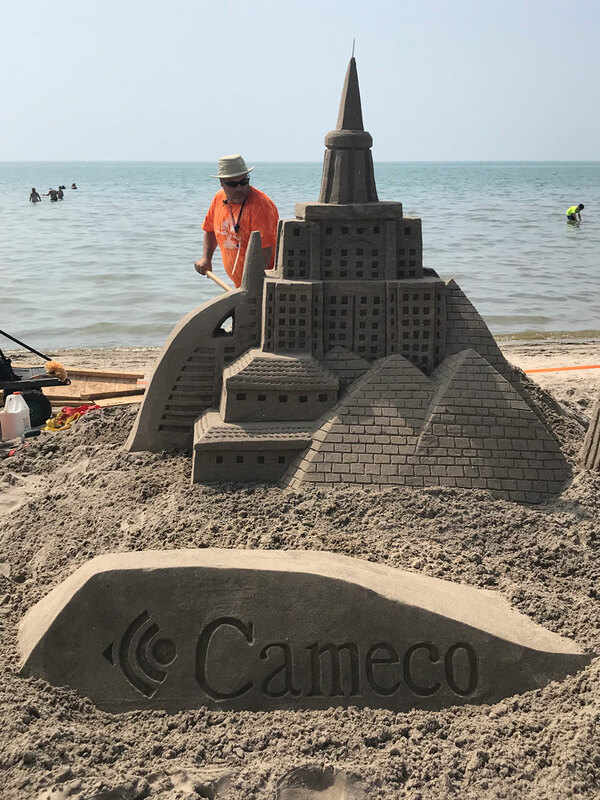 The Sandcastle Festival is organized by The Town of Cobourg and proudly supported by major sponsors including New Amherst Homes, Cameco, the Cobourg Public Library, Thomas Buick GMC Ltd. and Boston Pizza. 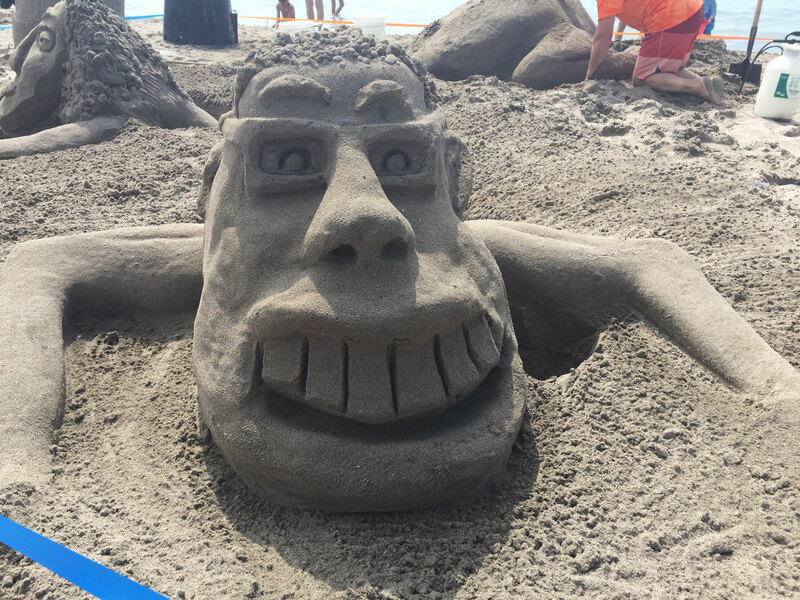 The Sandcastle Festival is an open celebration with a live DJ on the beach, a Kid’s Zone and an inflatable Fun Park that includes two giant slip and slides. Wristbands are available for purchase at the registration tent for $5 and give unlimited access to the Inflatable Fun Park. The evening is set to end with a movie in the park “Sherlock Gnomes” popcorn sponsored by the Marie Dressler Foundation concluding with a fireworks show. 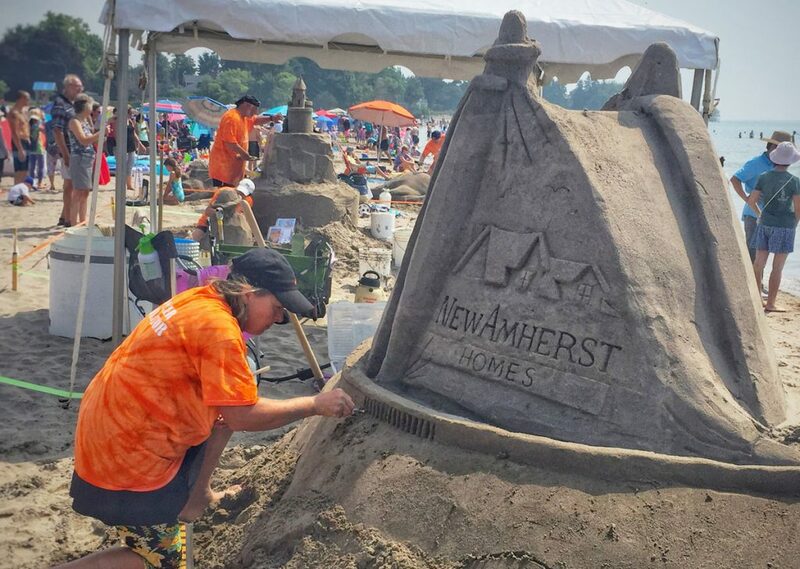 The public can view the sand sculptors for free all weekend. 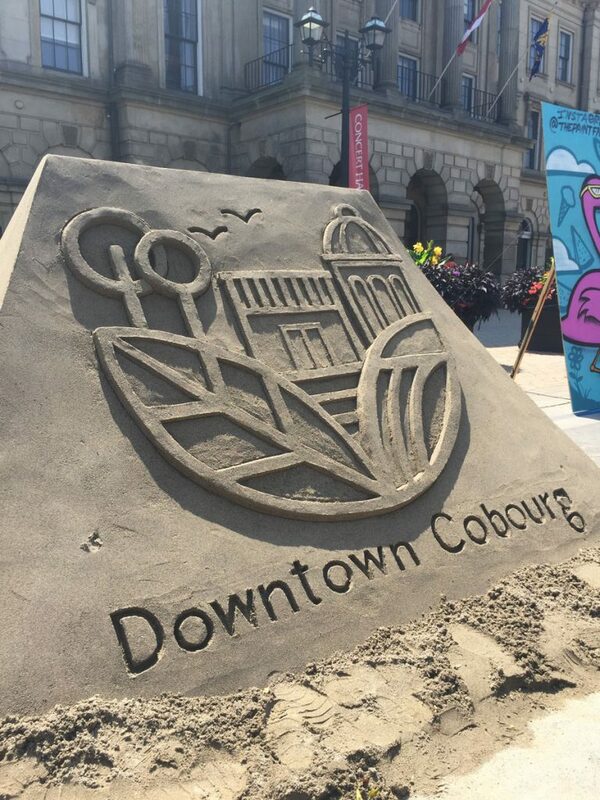 Remember to visit downtown Cobourg for the 50th Annual Sidewalk Sale and to take a look at the super cool sandcastles being built right on the main street! 50 years of downtown deals during the shopping experience of the summer running from Thursday, August 2 through to Sunday, August 5. New this year will be a live entertainment special beginning at 10am, 12pm and 2pm on August 4 provided by the very entertaining Mark Sepic, or “The Nutty Music Professor”. 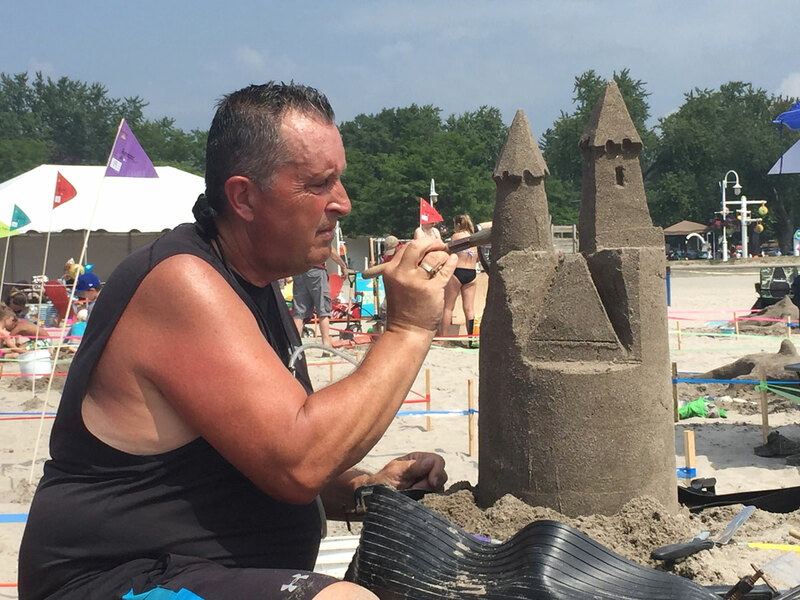 Open to aspiring artists of every skill level the Sandcastle Festival is designed to encourage everyone to participate including businesses, youth, adult and families. 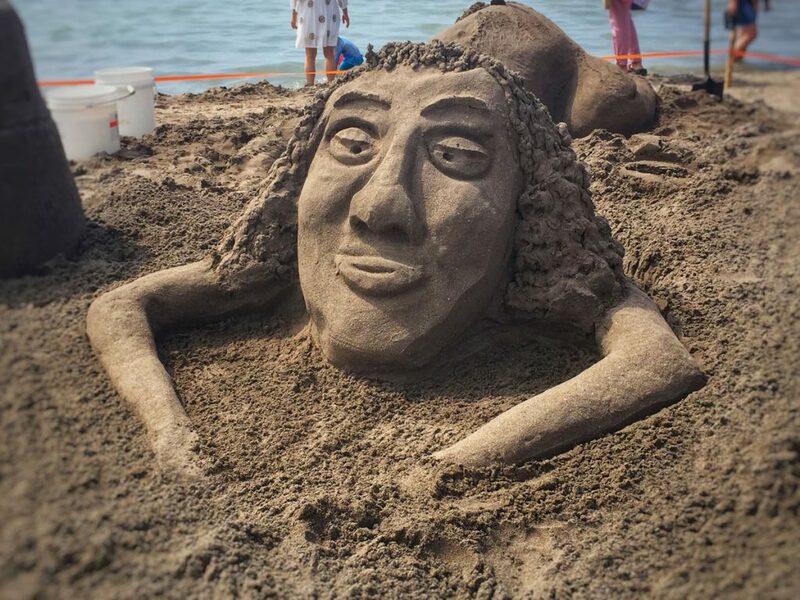 Interested sculptors can register at http://www.experiencecobourg.ca or onsite at the registration table on Saturday, August 4 at 8:30am. All sculptors are asked to pay $5/person and all teams have a chance to win cash prizes within each category and the coveted event title.